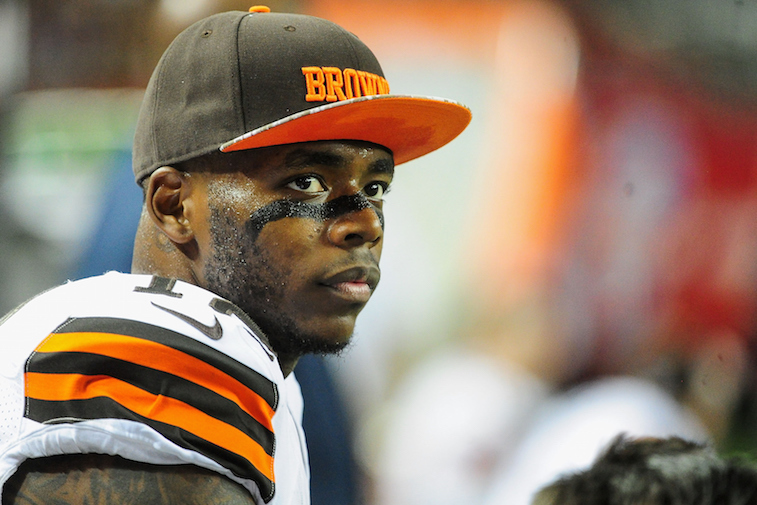 Will Josh Gordon Ever Play in the NFL Again? 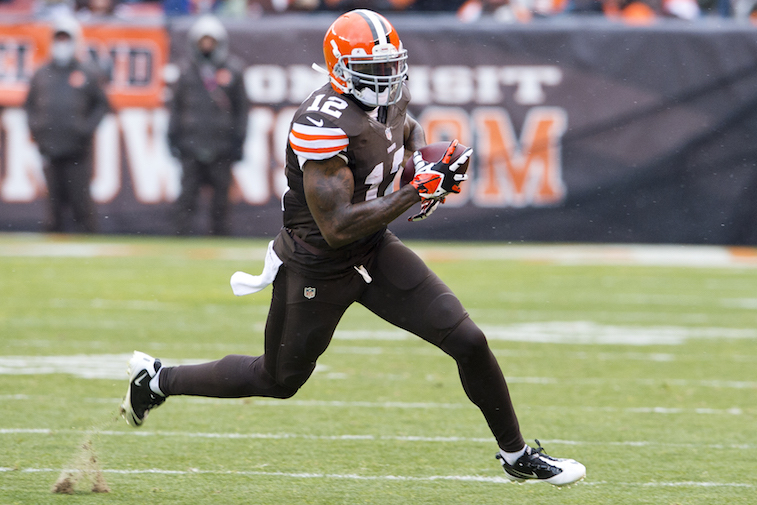 The hits keep coming for suspended Cleveland Browns wide receiver Josh Gordon. As if being suspended without pay for the entire 2015 season wasn’t enough of a cause for a serious case of self-loathing, Gordon had to sit back and watch fellow wide receivers Demaryius Thomas of the Denver Broncos and Dez Bryant of the Dallas Cowboys both sign $70 million megadeals from their respective teams. What has to make seeing his colleagues land massive contracts sting even more is the fact that had Gordon not received his most recent suspension, the 2013 first-team All-Pro would have been set to hit restricted free agency following the 2015 season. It wasn’t all that long ago that Gordon was considered to be in the same class as Thomas, Bryant, Antonio Brown, and all of the other up-and-coming star wide receivers in the NFL. After serving a two-game suspension in 2013, which happened to be the first suspension of his career, Gordon went on to catch 87 passes for a league-leading 1,646 yards and nine touchdowns. That season, he averaged a little less than 118 yards per game, and proved to be one of the most explosive playmakers in the game by posting a league-high 30 receptions of 20 yards or more. It seemed like Gordon was well on his way to becoming a perennial All-Pro candidate and potentially one of the NFL’s all-time great wide receivers. That all changed when Gordon received his second suspension for violating the NFL’s substance abuse policy prior to the start of the 2014 season. This time the league suspended him for 10 games. On January 25, 2015, ESPN’s Adam Schefter was the first to report that Gordon had again failed a league-mandated substance abuse test. As a result of him being a repeat offender in the league’s substance abuse program, Gordon had a zero-drinking stipulation that was a part of his previous reinstatement to the NFL. As it turns out, Gordon and a group of his teammates had hopped on a flight to Las Vegas, Nevada for a fight on January 2, where Gordon had a few drinks on the plane, and was summoned to take his drug test immediately upon the plane landing. He tested positive for alcohol, and the rest is now history. If you’re asking us, that sounds like a General Manager who has seen enough to move on from Gordon despite his immense talent and freakish skillset. By no means has Gordon given up on his NFL career. According to his agent, Drew Rosenhaus, the 24-year-old is upbeat and still has a “very bright future in the NFL.” With that being said, does Rosenhaus’ opinion accurately reflect the reality of the situation? The Browns seem to be fed up with Gordon’s immaturity and what seems like a lack of commitment to having a prosperous NFL career on his part. And it wouldn’t be the least bit surprising us if the team opts to release the 6-foot-4, 220-pound wide receiver if he is indeed reinstated by the league following the 2015 season. But, what about the rest of the league? Would there be a team willing to take a chance on a player who will be under extremely close watch and who is one slip-up away from an even lengthier suspension? Our guess is that the Browns, or any other team in the league for that matter, will view the potential reward of having Gordon on the field to be worth the risk of having him on their roster. Players with his game-breaking ability and physical traits simply do not come along very often. Let’s be honest, if Greg Hardy can find a job in the NFL, then there will surely several teams willing to take a chance on Gordon if the Browns decide he’s no longer worth the headache.